cool stuff. I'm going to get to work on my site and possibly have a game creation contest, top 3 teams wins a prize. Wyatt, Ven and some others would judge. Get ahold of me if you have some ideas or want to donate prizes. Its nothing yet, but its the idea. I really like your magazine! 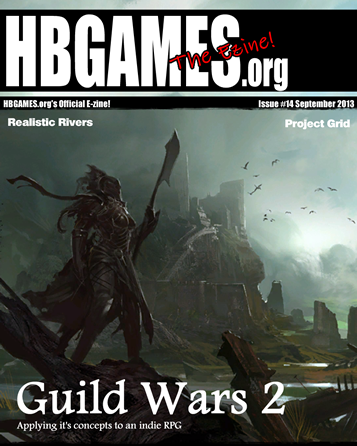 Why so much Guild Wars 2 love? EverQuest Next is where it's at. Or will be. Maybe it's over-hyped. Is the desire to make an online RPG in RM still even there? Afar was certainly the best and most successful online RM game but beyond that, I haven't seen any other attempts at seriously producing an online RPG in RPG Maker. It would be nice to see one, to be honest it would be nice to see any kind of online RPG game on this forum, that genre really gets people excited. Its just an article. Why don't you write one then. I'm going to make my own Ezine soon this inspired me . Oh, yeah I'm guilty of writing about whatever I happen to be playing at that time. As it happened I was playing guild wars 2 not ever quest.